September issue is now out! 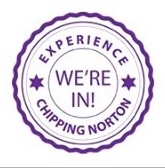 This year’s Festival, organised by the Rotary Club of Chipping Norton, was a great success. Here are some photos of the day, taken by Mark Yates.